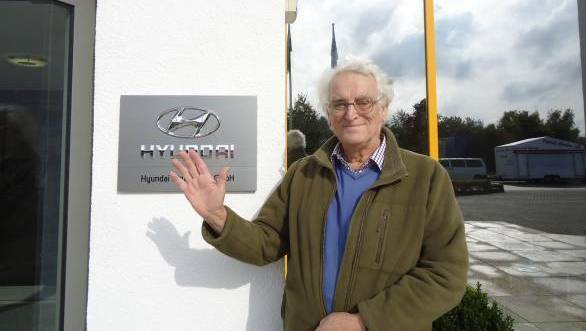 Hyundai Motorsport has finally opened its doors to their facility at Alzenau in Germany and the team's WRC Team Manager Alain Penasse has provided the first opportunity to grasp the extent of the new motorsport initiative which the Korean company has launched. "Alzenau is about 50km from Frankfurt-am-Main and the airport, normally around 30 minutes' drive away. The headquarters for Hyundai Europe is in Offenbach, halfway between the competition department and the airport, the company has its technical area in Russelsheim. For travelling purpose, the Frankfurt area is an ideal base for a rally team." Six months ago the buildings were bare. Everything started 1st of February, with just the car seen earlier at the Paris Motor Show sitting there in the buildings! The chosen premises were originally used as a factory for solar panels with all the required industrial ventilation systems installed. So it was ready for work to begin. At the moment there is about four times the capacity required for actually running the team! "The whole plant is about 8,000 square metres, about 6,000 square metres technical area, half of this has now been fitted out, and there are about 2,000 square metres of offices, one separate wing which is for marketing and team management, another for administration. There is another 10,000 square metres available in the future." The layout of the main workshop is extensive. There are ten bays, four at the moment for test cars and six for rally cars. Alongside there are the departments for assembly work, electronic and quality control work, while an engine dyno and a suspension test bench will be constructed before the end of the year. Work is increasingly carried out as much possible in-house. There is a body shop and a machine shop on site. The bodyshells arrive from Chennai in India, this production line was chosen because the team require a three-door car. The bodyshells are then fitted out at Matter in France. The basic engine is from Korea with engine development a joint work between Hyundai's R&D department in Namyang and Pipo in France. 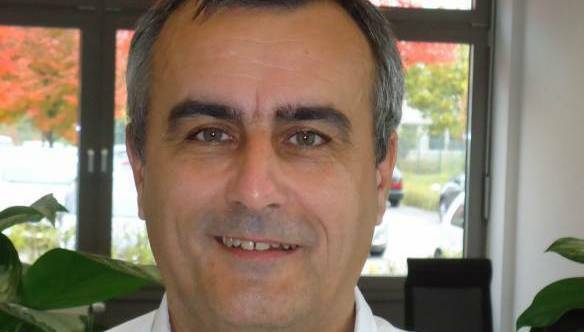 The engine work is coordinated from Alzenau but the collaboration with Pipo started for the aspects of the engine our facility is not equipped to handle. Future plans are that Hyundai want this facility at Alzenau to be for much more than just WRC. It is all part of Hyundai's wish to make their image younger and more sportive. There is to be a high performance production car developed there and at least partly produced there as well. At the moment the focus is only on the two-car world championship team. This is a long term commitment. "You cannot make this level of commitment just for one year. There is a lot more behind this project than just WRC. Hyundai Motorsport is a subsidiary of Hyundai Motor Company in Korea. Every employee is employed by Hyundai, not through a private independent company. 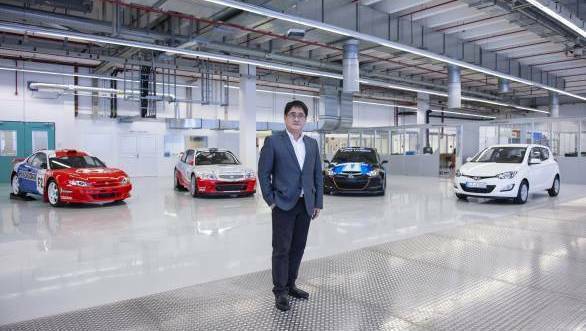 President of Hyundai Motorsport Mr Choi is present every day in Alzenau, in direct contact with the Vice Chairman of Hyundai who is on the management board in Korea." More to the point is how the WRC programme is progressing. The focus of the work at Alzenau is on the WRC programme. Homologation of the car to be used in 2014 has to be finalised by the end of October. "The end of this month is quite critical, everything has to be finalised 3,000km of test so far  750km asphalt, the rest on gravel. We have tested so far in France, Spain, Finland and Germany." The two big unresolved questions at the moment are who will be the WRC drivers for the team in 2014, and why develop the 2014 car when it is only to be used for one year. The former question cannot be answered. "Drivers  nobody has yet been signed by Hyundai. Thierry Neuville has stalled the market at the moment with everyone waiting for him to make his decision. Hyundai has no pre-agreement with anyone, we are talking to everybody and have made no final decision. It would be nice to commit to someone by the end of October, but as long as other drivers have not concluded their arrangements we do not have to worry too much". And as for the 2015 car, Penasse would only say, "The decision as to which model will be the base for the 2015 car is still under consideration. Our work in the first year (2014) is to learn a lot and also to develop the 2015 car. Our priority is to be present in 2015 with a car that is able to win. 2014 is not our number one priority. If we get good results next year we will be very happy, if we do not have the drivers we want for 2014 that is not the end of the world. The reason to start with the existing car for 2014 rather than wait for the new car in 2015 is that the team needs time, a bit like Volkswagen when they spent time rallying with the Skoda. We knew that it was impossible when we started to build up the whole structure straightaway, to have a competitive activity, have the best drivers and have the new team and get settled immediately. The priority was to start off with a compromise car in 2014, develop our relationship with reliable suppliers who do not take any risks with our work, have a car which will be more-or-less competitive, then to start off 2015 with a car design on a blank sheet. We have a hundred people together. Most of them have never worked together. It will take months for everyone to start working together well".